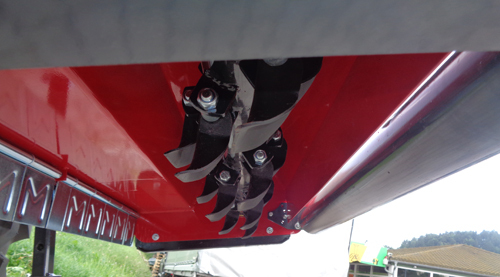 galvanically coated pendulum lamellae the penetration of stones and other objects, so you have the security against stone impact. 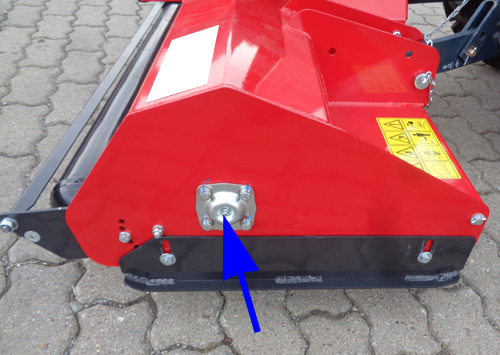 The steel housing is outside 4 mm thick. 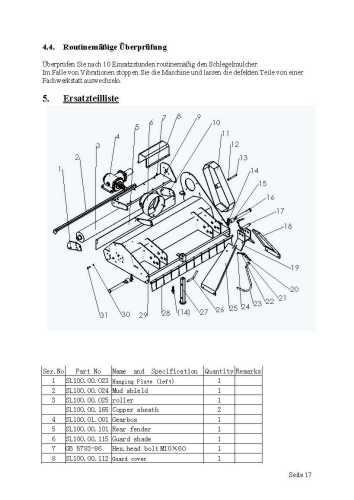 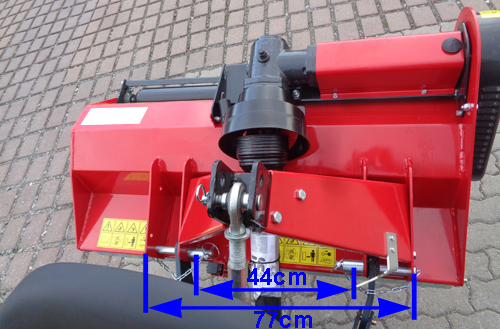 The inner part is made ​​of 3mm sheet steel. 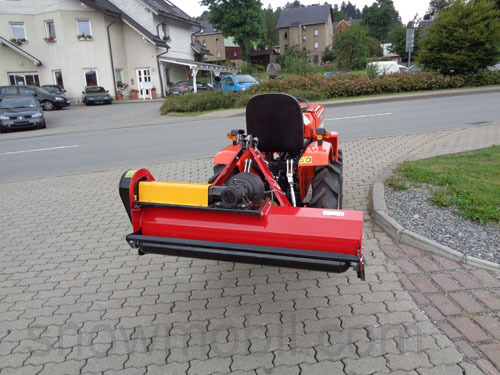 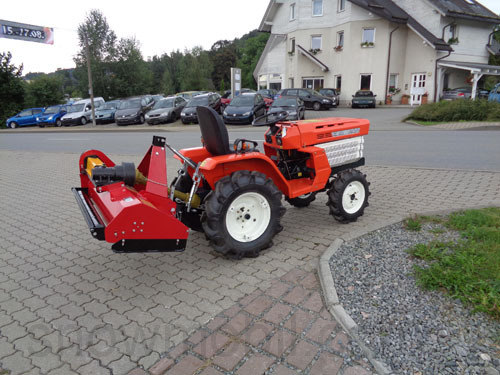 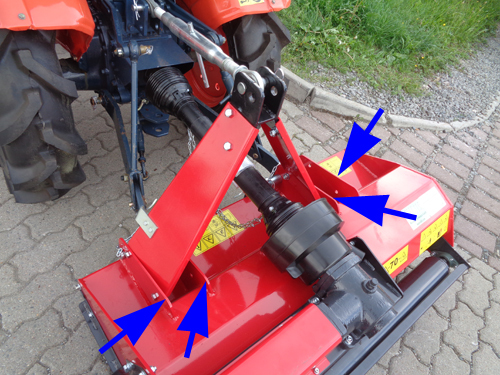 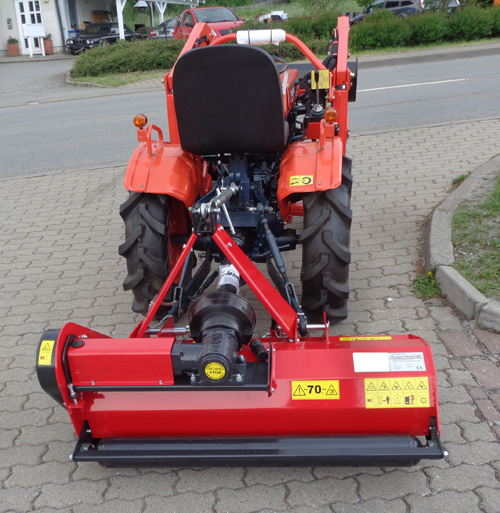 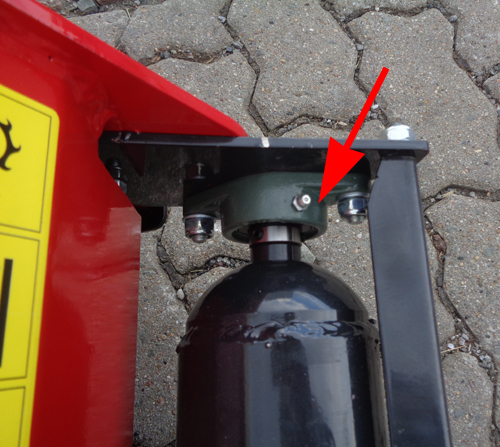 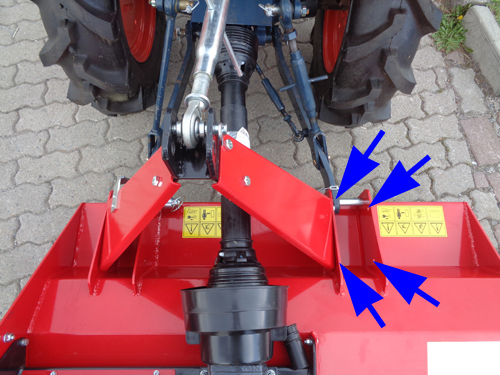 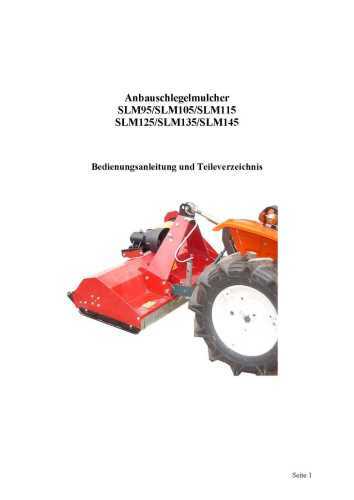 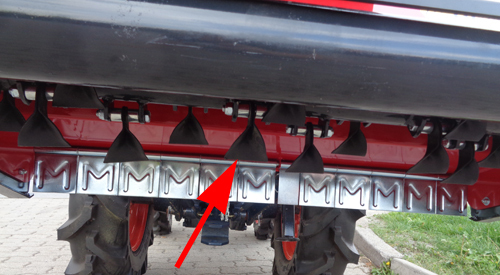 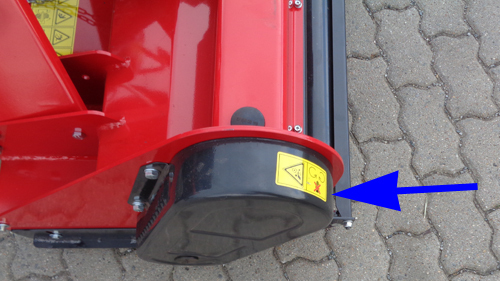 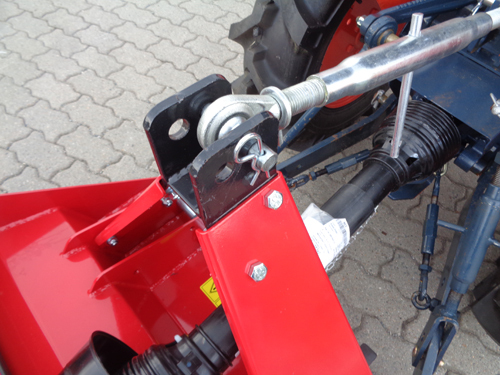 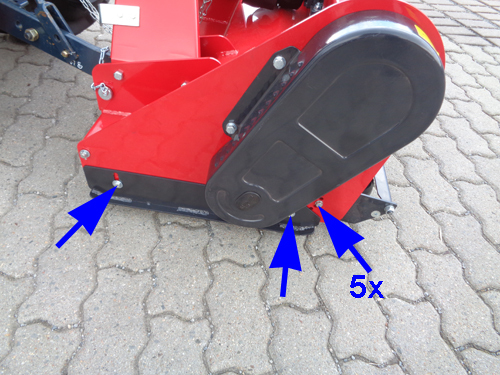 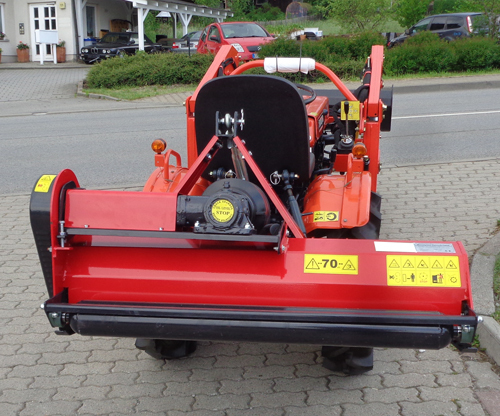 The flail mower can be attached 10 cm displaced when displacing the holding triangles according to the tractor.